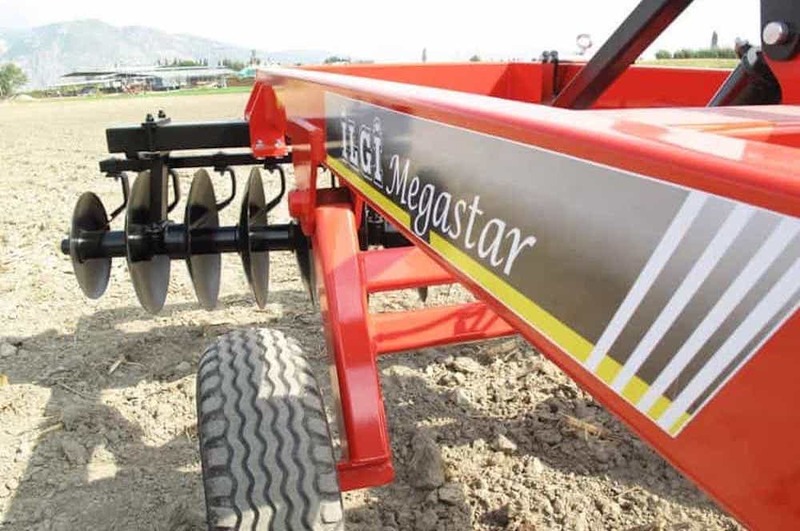 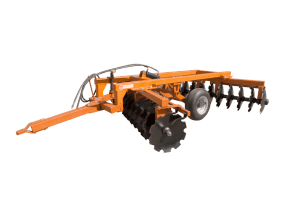 Megastar, the Heavy Duty Frame Offset Disc Harrow. 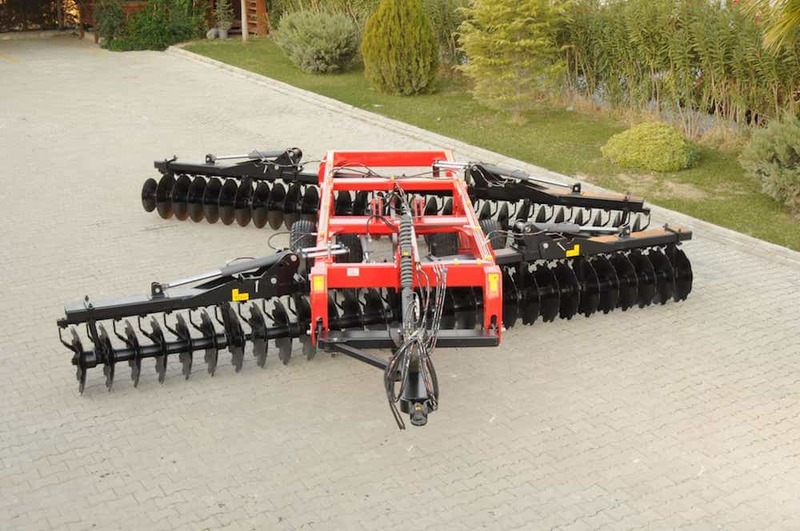 Manufactured in various sizes from 18 to 36 discs without folding wings, and from 40 to 60 discs with folding wings. 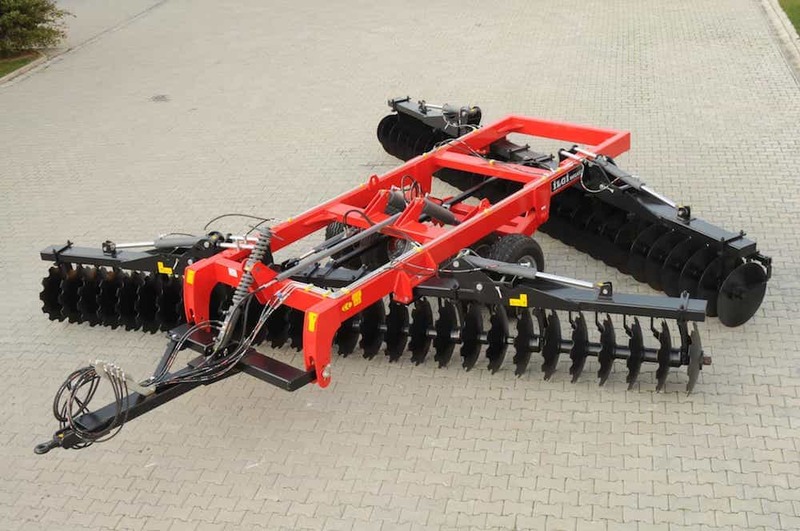 Standard with 560mm discs, further options including 220mm Disc spaces, 660mm disc diameters and plain or notched type discs. 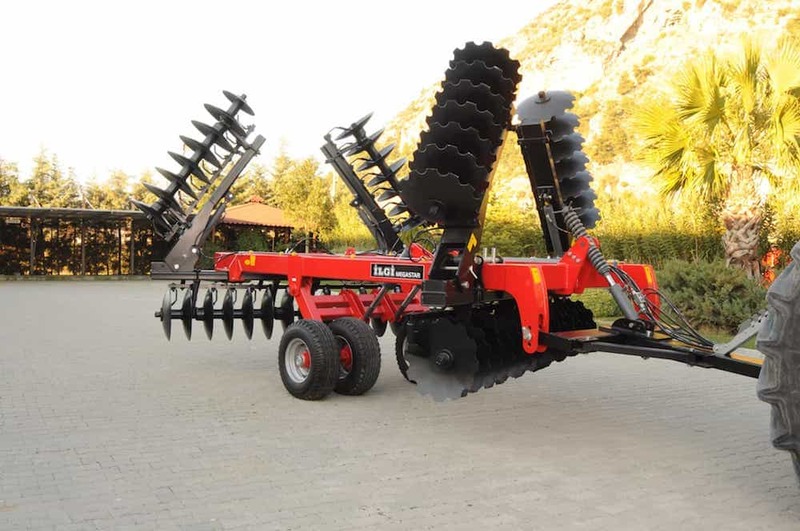 These alternatives enable to farmers to choose the most suitable equipment for their own conditions. 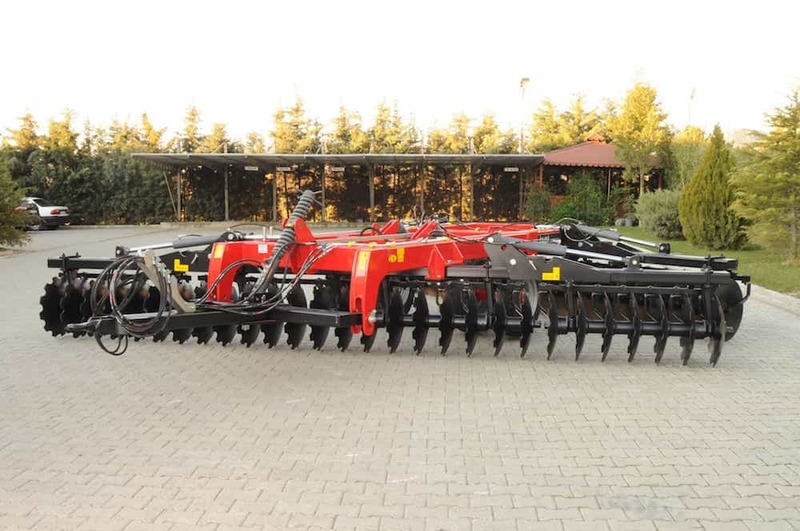 The disc direction angle can be opened to 22 degrees to achieve excellent soil working and depth. 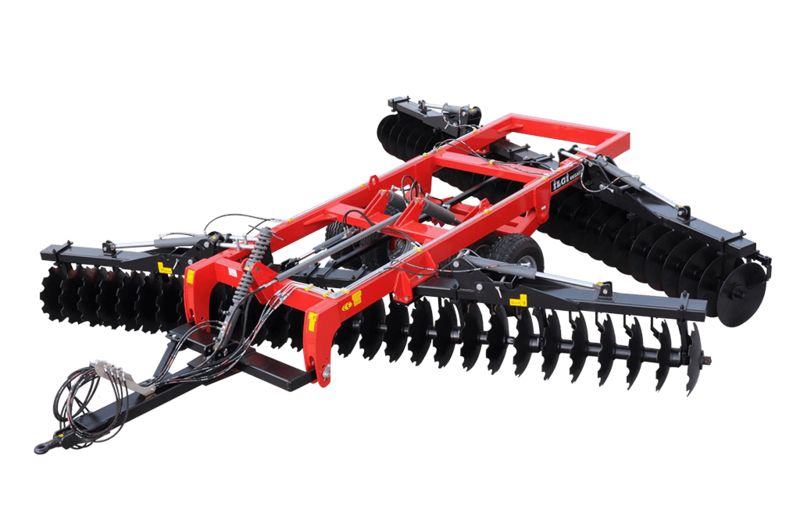 Ridged Frame harrow with easy angle adjustment, strong steel shaft and heavy duty adjustable scraper. 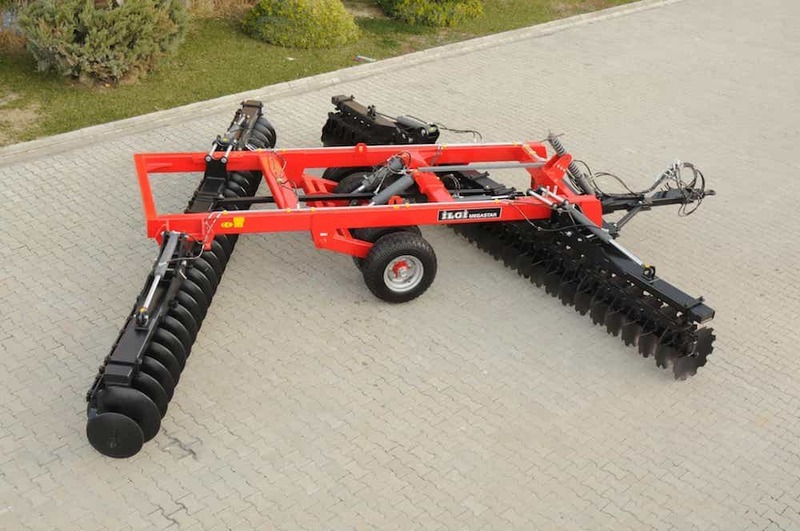 Side discs, standard pintle hitch and easy levelling. 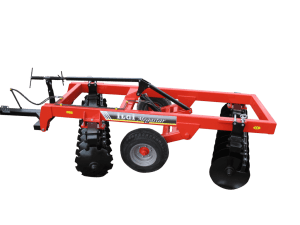 Folding frame harrow with easy angle adjustment, strong steel shaft and heavy duty adjustable scraper. Side discs, standard pintle hitch and easy levelling.